How much is Nirav Modi Worth? 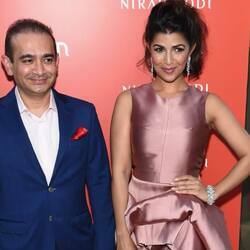 Nirav Modi Net Worth: Nirav Modi is an Indian businessman who has a net worth of $1.7 billion. A Belgium native, Modi decided to drop out of Wharton to move to India in 1990 to work with his jeweler uncle. Having learnt the trade, he established Firestar International in 1999, a jeweler that now has revenues of $1.3 billion with manufacturing units spread across India, Russia, Armenia and South Africa. 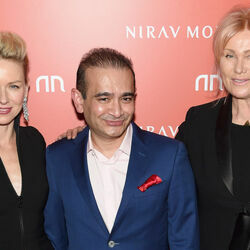 With aspirations to become the Cartier of India, Nirav Modi made the headlines in 2008 when his Lotus necklace with a rare Golconda diamond was auctioned by Christie's for $3 million. Nowadays, he is preparing for the launch of his first retail store in Delhi.